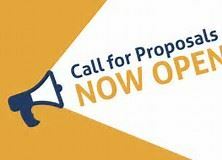 On behalf of the VATESOL Board, we invite you to consider submitting a proposal for our 2019 VATESOL Annual Conference in Charlottesville this September 19th. Our conference theme is Transforming Education for English Learners: Equity, Advocacy, and Academic Success. To submit a conference proposal, please follow this link: VATESOL 2019 Conference Proposal . The deadline for submitting proposals is June 1, 2019. If you have any questions regarding our conference or submitting proposals, please email vatesol@gmail.com. We will be happy to answer any questions.